Match-Well: Located in Changzhou, is a company focusing on the research, development, and manufacturing of refrigeration components. Founded in 1974 as a Thermo-Control manufacturer, Match-Well has become a fully-modern enterprise with over 1000 employees who integrate research, operations and marketing. One corporate office and five manufacturing facilities are now located in Changzhou, Nantong, and Ningguo covering 130000㎡ with 90000 ㎡ of production area. The main products of Match-Well include AC motors, DC motors, AC fans, DC fans, pressure sensors, pressure controls, heater bands, and railway equipment. The company has a competitive tech team incorporating a postdoctoral science research workstation and two R&D centers. It also own over 50 patents, 20 government tech certificates, and the Jiangsu “High Tech Enterprise” title. The brand is now widely recognized in China,North America, Europe and Middle East Countries. Pressure Control: Changzhou Match-Well Pressure Control Technology Co., Ltd is the largest pressure control manufacturer in China with over 75% of the market share. It owns three production facilities and one R&D center in Changzhou and Ninguo. The exceptional service and high quality are widely recognized by domestic and international customers and thus its brand is widely chosen by many large refrigeration companies. The Pressure control products are sold in over 56 countries and regions in North America, Europe, Middle East and Asia. As for now, Match-Well is capable of producing 22 million sets of controllers and 2 million sets of heater bands. Electric Motor: Jiangsu Match-Well Electrical Products Co., Ltd, it has developed two production facilities and a provincial R&D center in Changzhou and Nantong. As a professional developer, manufacturer, and supplier, the company has received several certifications from the government. It is Certificated ISO9001 & ISO 14001, authenticated through “CCC”, and achieved several safety certifications including UL, CSA, VDE, TUV, CE,SASO and KUCAS. The products have sold in over 32 countries and regions, and the enterprise has built partnerships with well-known domestic and international companies. Currently the company has an annual output of 12 million sets of fan motors and 500,000 sets of axial fans. Railway Equipment: Changzhou Match-Well railway equipment Co., Ltd was established in 2014 and is Certificated ISO9001 and IRIS. It focuses on the railcar interior design, part fabrication and installation services. International Trade: Changzhou Match-Well International Trading Co., Ltd is for all international business. Besides supplying and servicing overseas customers, it also works on importing and exporting electrical products, spare parts, materials and supplies. 2006 Established Changzhou Match-Well Welding Material Co., Ltd Which specializes in welding material, mainly Flux Cored Wire. 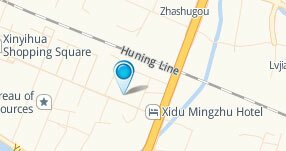 Also established Changzhou Match-Well International Trade Co.,Ltd. which engages in the international trade business. 2010 Established Nantong Match-Well Electrical Products Co., Ltd. As the second location to produce fan motors. 2014 Established Ningguo Match-Well Pressure Control Technology Co.,Ltd. As the second location to pressure controls.